Connecticut has a handful of well known fighters training out of the state like Nick Newell and Glover Texiera to name a few, but when it comes to females there hasn’t been any single female that’s really stood out over the past decade. 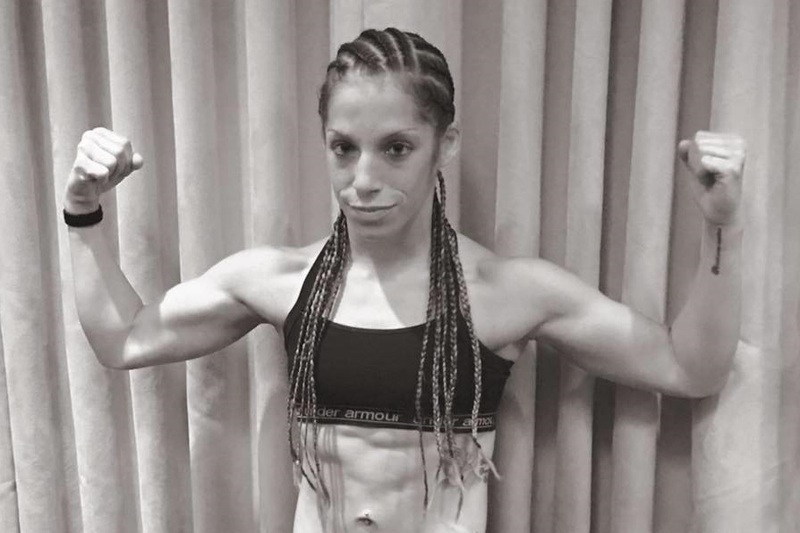 Well, Connecticut is finally getting a rising star to get behind and cheer on with New Haven’s Marisa Messer-Belenchia whose first professional MMA is right around the corner and is coming fresh off her most recent win at Mohegan Sun for Reality Fighting 101 where she was crowned Amateur Atomweight Champion for the promotion. Training out of North Haven, Connecticut under Bellator’s Andrew Calandrelli who was one of the staples in helping Nick Newell get his foot in MMA and even brought him into his gym straight out of high school after seeing the potential. Andrew told EVil Eddie of My MMA News that the second Marisa walked in the door it was a similar feeling he had in just first few hours of watching Marisa and immediately knew with the right effort and training she would be the star Connecticut has been waiting for. Andrew goes on to tell us that Marisa had no idea what MMA was when she arrived, everything was fresh and new for her. Before her last fight at the Mohegan Sun, Marisa’s boyfriend passed away unexpectedly, but to everyone’s surprise she still was insistent that she wanted to push forward and train for her fight at Reality Fighting 101. When faced with such extreme life altering situations people usually crash and burn or rise from the ashes and that’s what separates competitors from champions. It didn’t get any better for her come fight week either. The day before the fight was supposed to take place Marissa fell ill after weigh ins and began vomiting. No one was sure if she was going to be able to compete due to the rough circumstances she faced. Come fight day at Mohegan Sun Casino (Indian reservation) to everyone’s surprise, no questions were asked and Marisa was able to fight as long as she showed up and she did just that. Marisa took the fight in a decision victory and is now looking forward to her future in this scene. Both the “Spider Monkey” and Bellator veteran, coach Andrew Calandrelli sat down with EVil Eddie of Pure EVil MMA Podcast to give fight fans an inside look to what is coming by the years end. Connecticut has a handful of well known fighters training out of the state like Nick Newell, Glover Texiera, to name a few, but when it comes to females there hasn’t been any single female that’s really stood out over the past decade. If you enjoyed this interview, make sure to SUBSCRIBE below and find all the latest Pure EVil MMA content at www.MyMMANews.com.